I love our Christmas card this year! I am going to run over to Sam's tomorrow and get them printed. 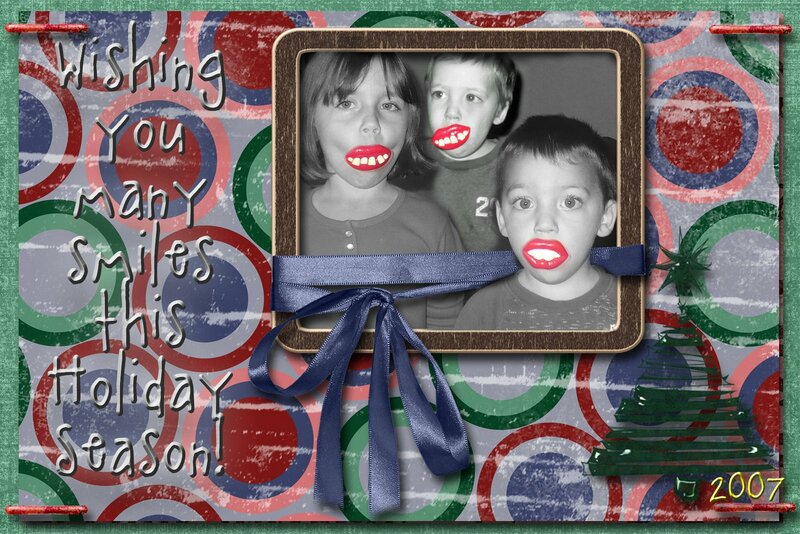 The silly teeth were a gift from Uncle Page. The kids just loved them, of course it helped that there was a sucker on the other side. 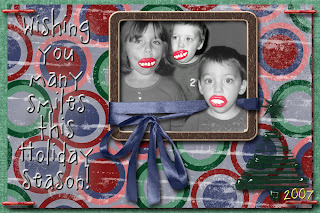 I couldn't help but grab the camera and what better way than to show how crazy my kids are then using the pics in our Christmas Card. I think it will definately get a second look!!!! I love your card. Would you like to post it on my website, www.merrychristmasfrom.com, it is a christmas card sharing website and your card would fit in perfectly. We have all sorts of wonderful and wacky cards.